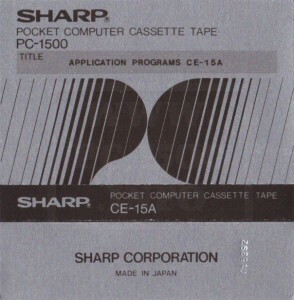 This Sharp software pack is a very rare item for the PC-1500. 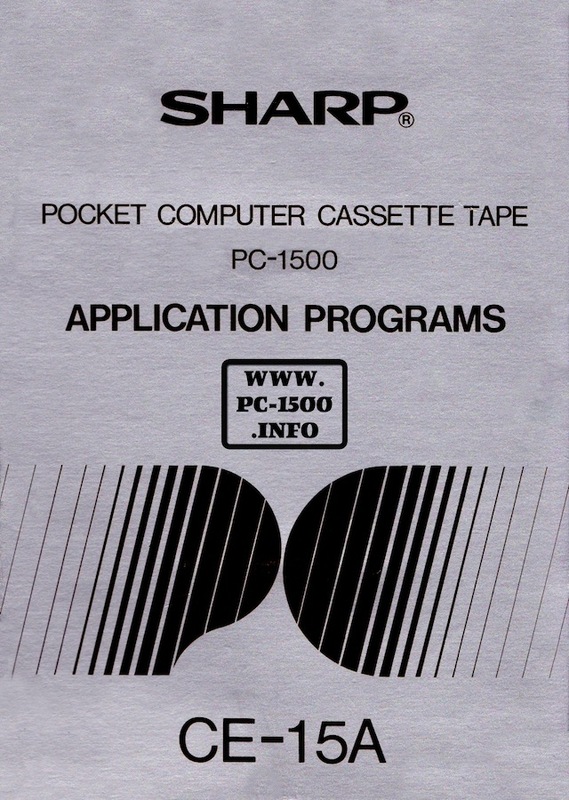 The flat box, with size similar to the PC-1500 box, holds a tape and a user manual. 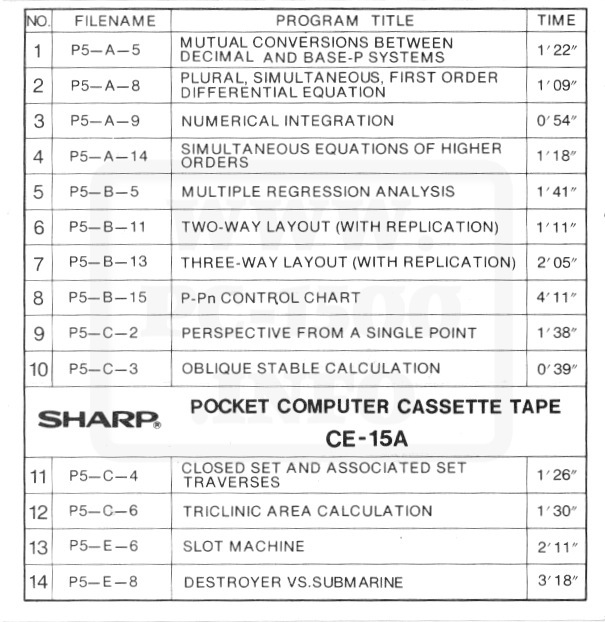 This is a library with tools and games. You can download the tape content with files in WAV and BAS to load with CE-150 or CE-158. Do you have the user manual ? Do you know another pack from Sharp ? 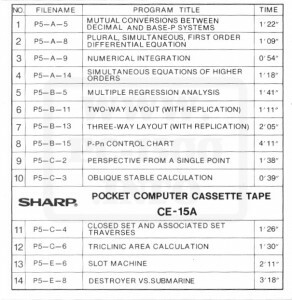 CE-15B ? 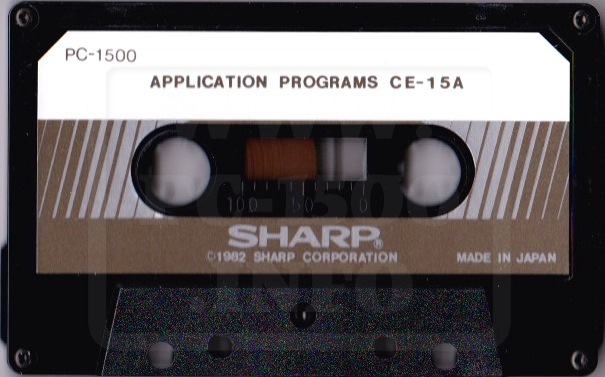 This entry was posted in 4-Extensions, Blog, Software on 03/01/2015 by Rom1500.